Jack, I believe Chuck's address is 2002 City of Refuge Rd, Culloden, GA 31016. At least, that will get you close to the driveway. Jack here is his address but from what I hear it is not correct for most GPS. I will try to post a coordinates in the next few days. I have been unable to get the GPS in my truck to give me Coordinates. 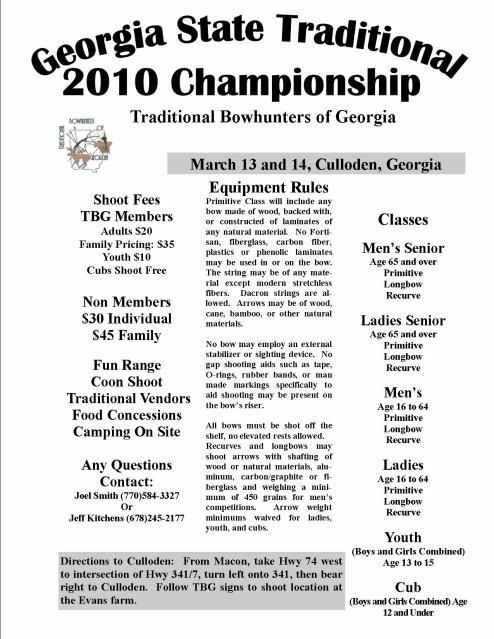 Is the new flyer out for the 2011 state shoot out?